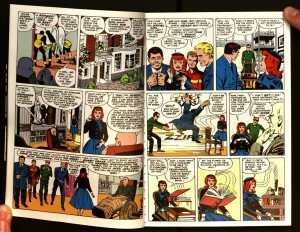 home Resources and Services, Special Collections, Archives, and Rare Books The X-Men Turn 50! 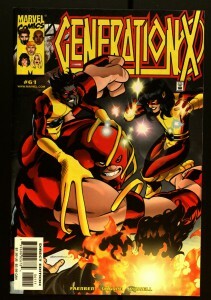 …The Uncanny X-Men! 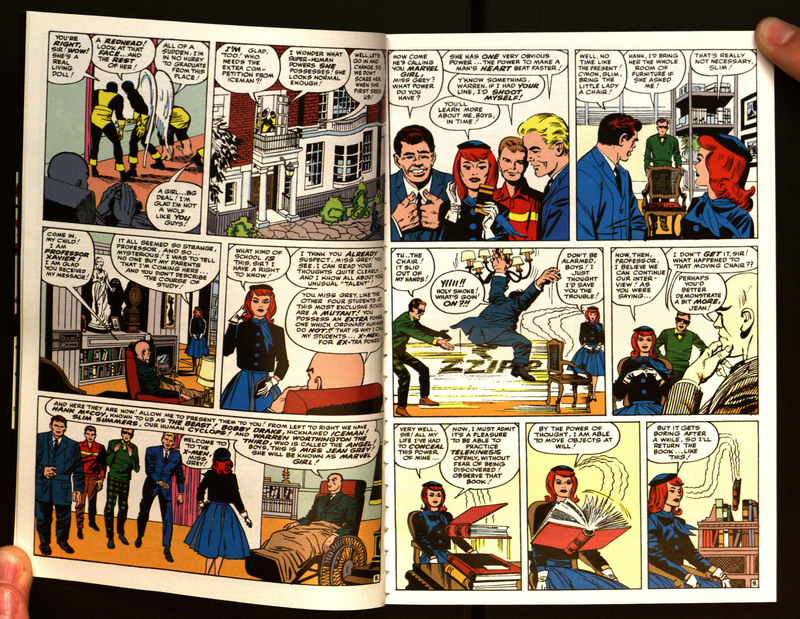 To celebrate the fiftieth anniversary of the mutant menagerie, Special Collections has put together a list of fun facts and trivia about the superhero squad, both in print and on film. 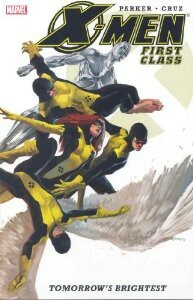 …the original five X-Men were Cyclops, Angel, Beast, Iceman and Marvel Girl? 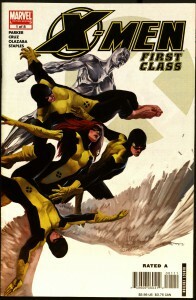 Only Beast was in X-Men: First Class, the film adaptation about the formation of the X-Men. 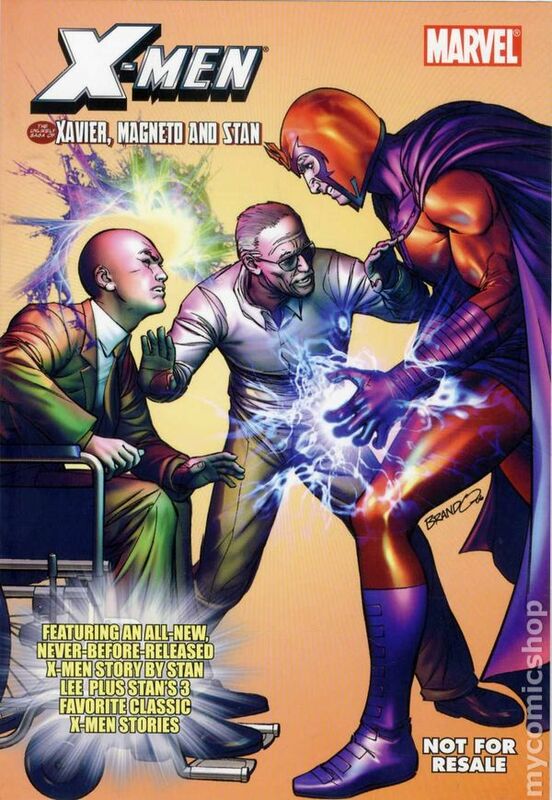 …Professor Xavier named his students “X-Men” because of the “extra power” their mutation gave them? 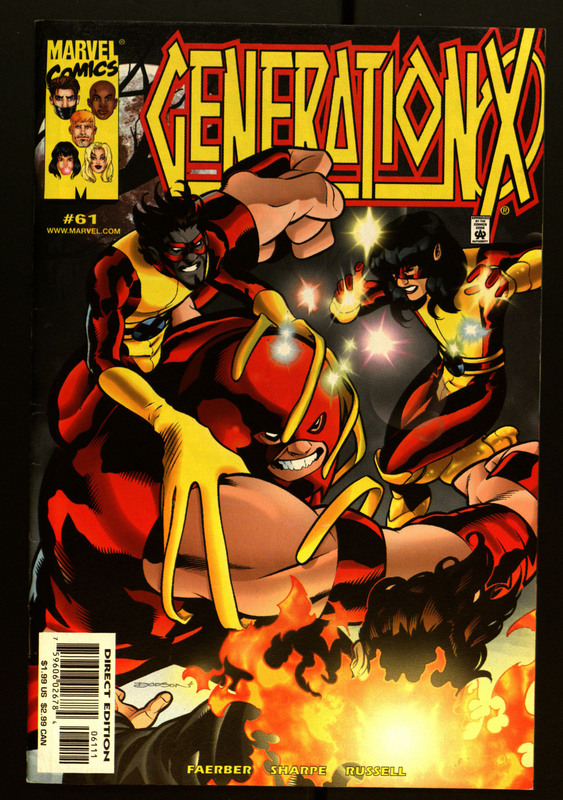 …because of the way the X-Men are shunned for being different, mutants have been used as an ongoing allegory of minorities in society, such as African Americans and homosexuals? …the character Wolverine first appeared in a 1974 issue of The Incredible Hulk? …the entertainment website IGN lists X-Men arch nemesis Magneto as the greatest comic book villain of all time? He ranks above (or below, depending on your perspective) the Joker, Lex Luthor and Loki. …Hugh Jackman’s Wolverine has appeared in six movies (X-Men, X2, X-Men: The Last Stand, X-Men Origins: Wolverine, X-Men: First Class, The Wolverine), and he will make his seventh appearance in next year’s X-Men: Days of Future Past? He holds the record for most film appearances as the same comic book character, followed by Robert Downey, Jr.’s five appearances as Tony Stark (Iron Man, The Incredible Hulk, Iron Man 2, The Avengers, Iron Man 3). …X-Men Origins: Wolverine star Ryan Reynolds has appeared on film as three different comic book characters? He’s portrayed Wade Wilson (X-Men Origins: Wolverine), Hal Jordan (Green Lantern) and Hannibal King (Blade: Trinity). …the X-Men film franchise has grossed $2.2 billion worldwide, beating out the Indiana Jones, Superman and Star Trek franchises? 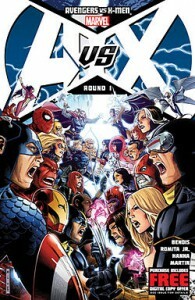 …Hugh Jackman has expressed interest in Wolverine joining The Avengers in an upcoming movie? Unfortunately, that’s unlikely to happen, as Fox owns the film rights to Wolverine and the X-Men, while Disney owns the film rights to The Avengers. 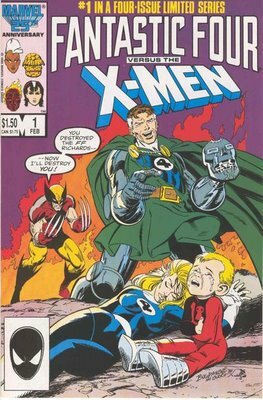 However, Fox also owns the rights to the Fantastic Four, and comic book author and screenwriter Mark Millar has hinted at a Fantastic Four/X-Men crossover film. …the cast of X-Men: Days of Future Past contains three Academy Award-winning actresses? Jennifer Lawrence, Anna Paquin and Halley Berry have all taken home an Oscar. …when Patrick Stewart (Professor Xavier) was married in 2013, he asked his friend Ian McKellen (Magneto) to officiate the ceremony? McKellen obliged. 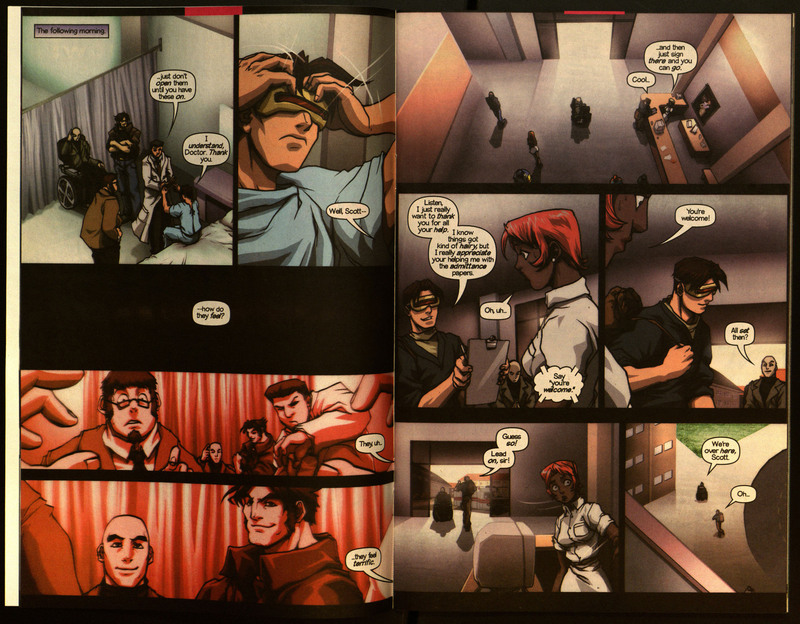 …all of the pictures on this page were taken from comics and graphic novels contained in Special Collections? 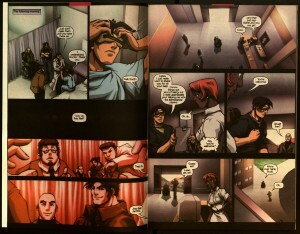 We encourage everyone, mutant and human alike, to come in and take a peek at what we have to offer!